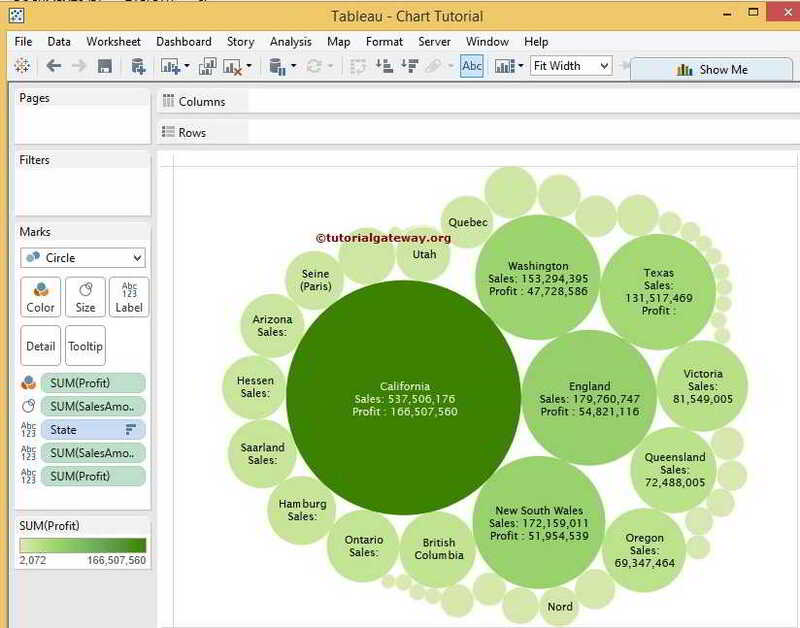 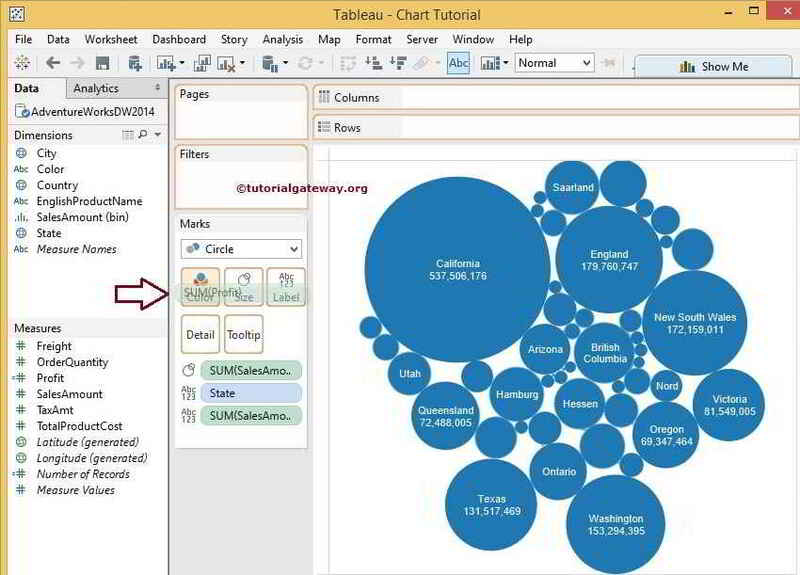 Tableau Bubble Chart is used to display the data in circles. 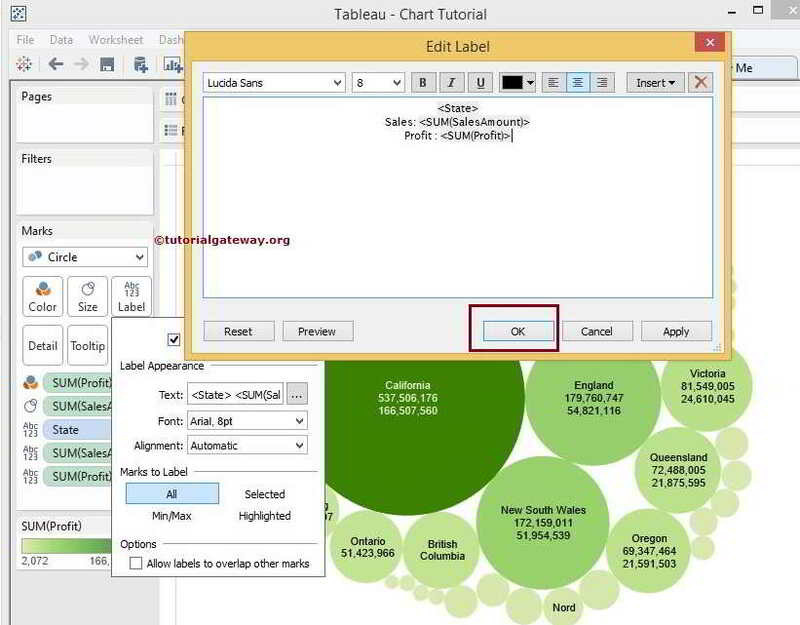 We can define each bubble using any of our Dimension member and size by Measure value. 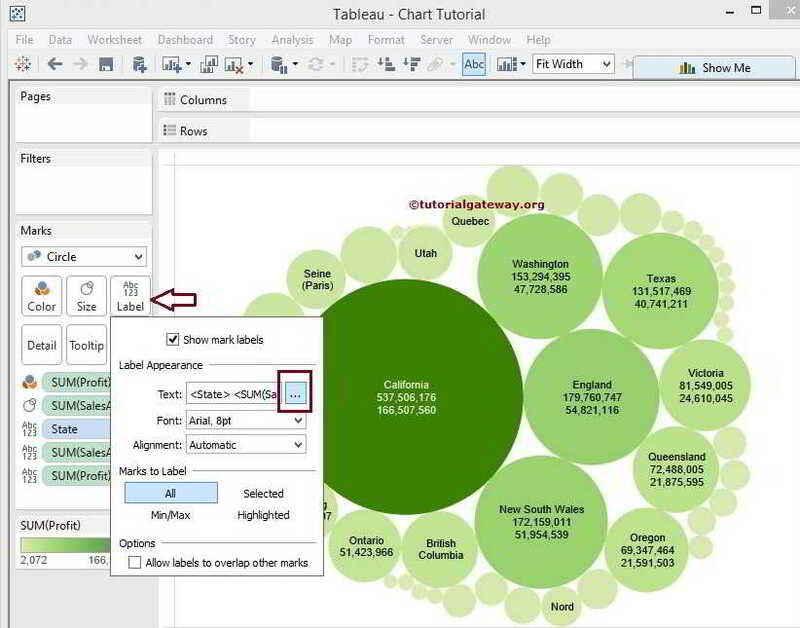 Bubble charts play a major role while creating Maps, for instance, we can use bubbles on top of the Map to display the Sales by Postal code etc. 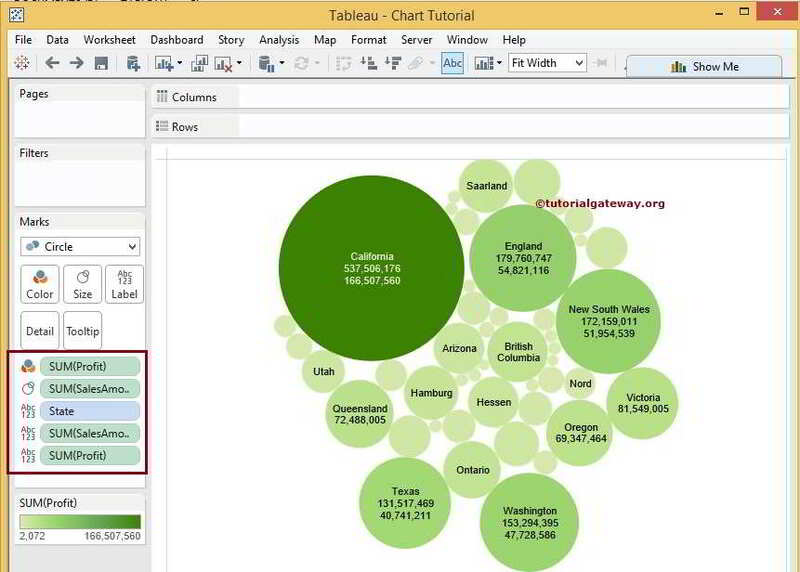 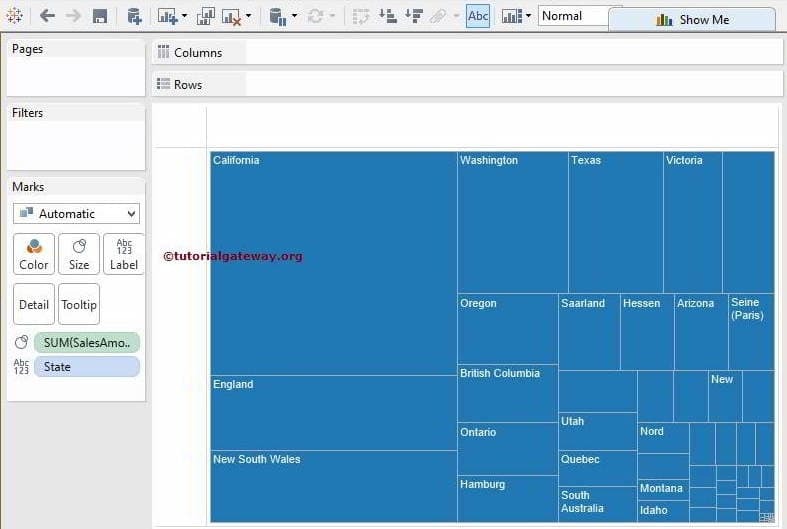 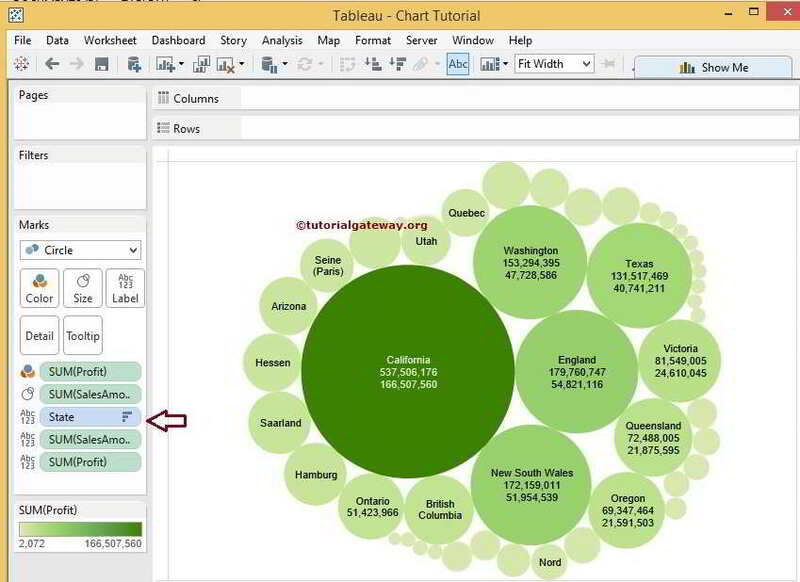 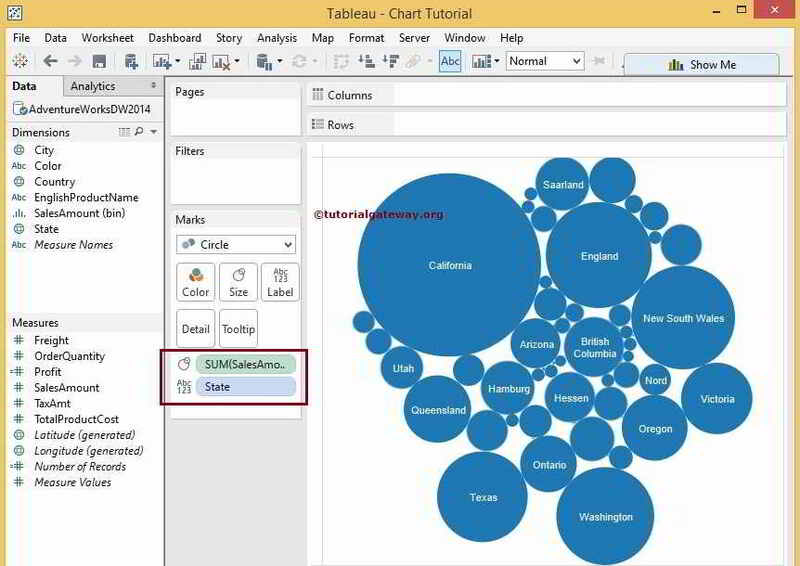 In this article, we will show you, How to Create Tableau Bubble Chart with an example. 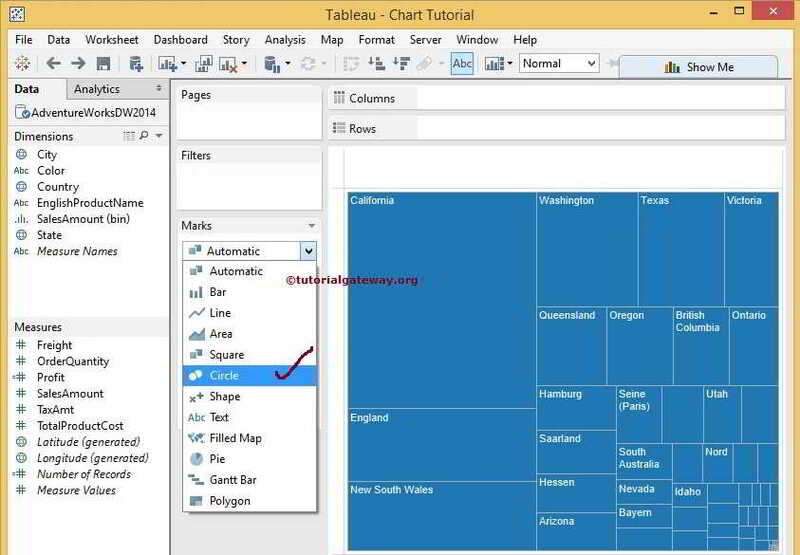 For this we are going to write the Custom SQL Query against the SQL Server Data Source. 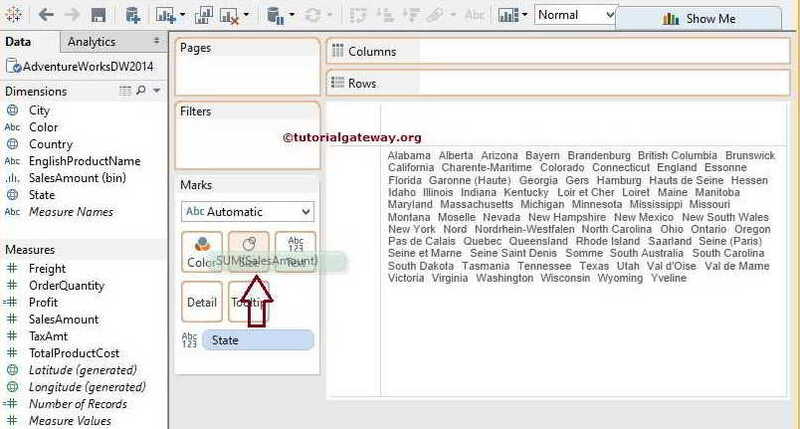 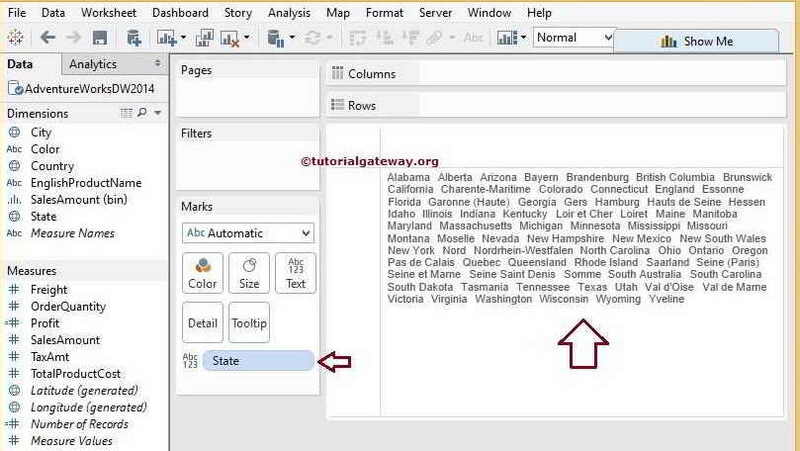 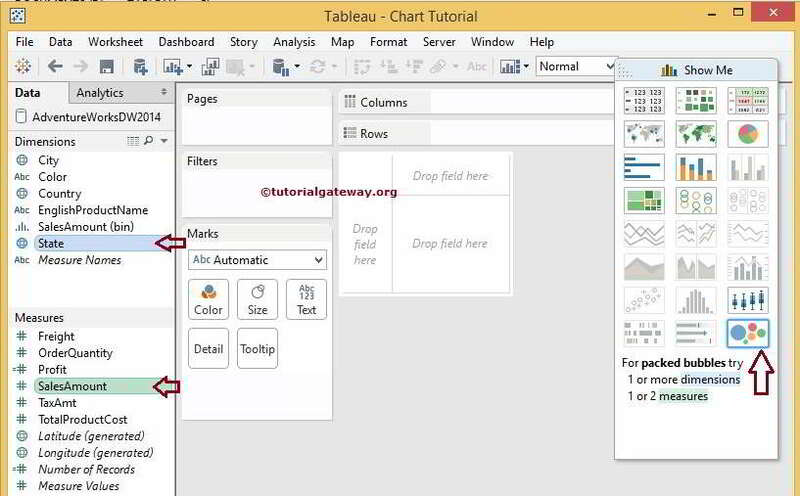 So, Please visit Connecting Tableau to SQL Server article to understand the configurations. 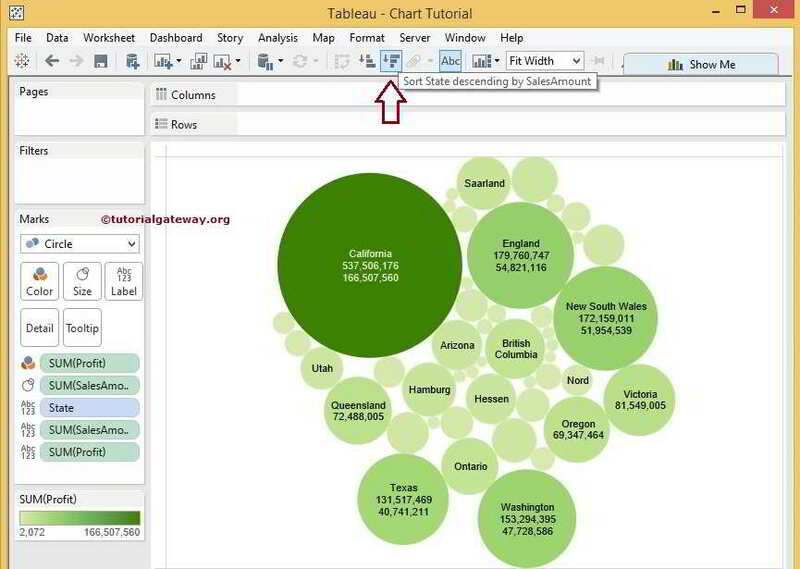 Once you changed, Bubble Chart will displayed with State Name as Text filed and Sum of Sales Amount as the Bubble size. 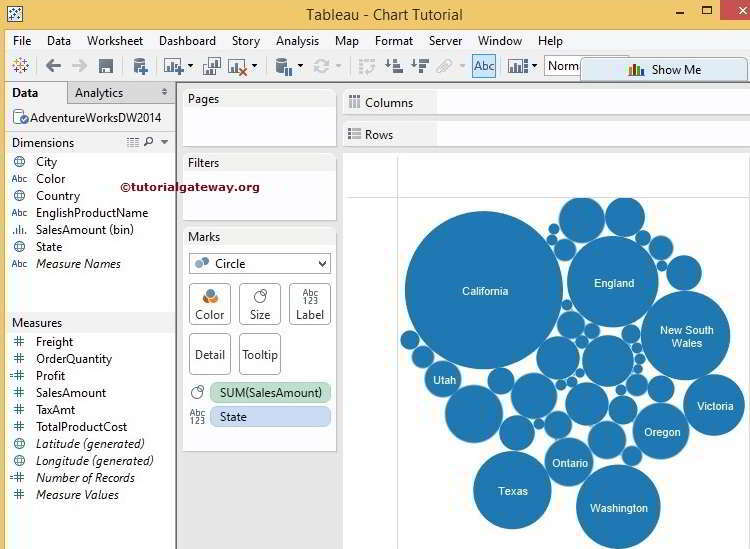 From the below screenshot you can observe that Bubble Size of a California State is bigger than remaining states because the Sales Amount is higher than other states.